I’m not sure if it’s the fact that I am a hopeless romantic, the abundance of chocolate and other sweets suddenly everywhere, or the variety of beautiful shades of pinks and reds splashed across greeting cards and decorations; but I look forward to Valentine’s day every year. 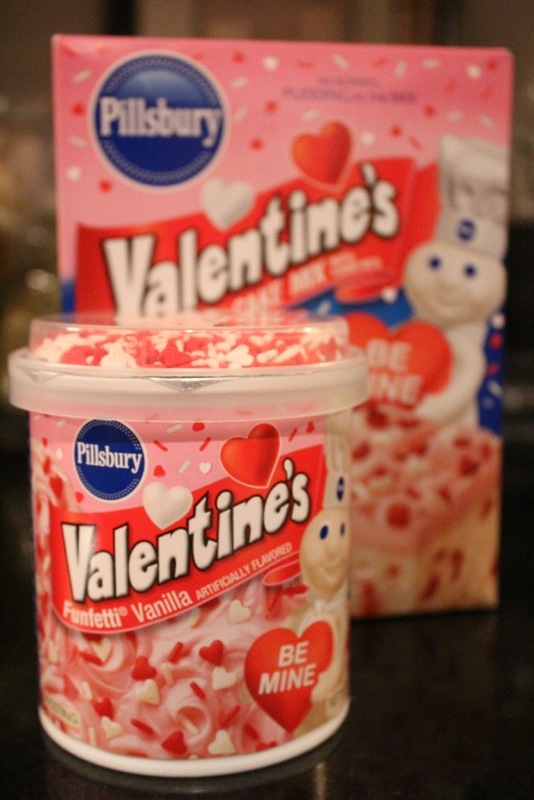 So much so, that when strolling through the isles of my supermarket earlier in the week, I couldn’t help but pick up a Box of Pillsbury Valentine’s Day Fun-fetti cake mix and tub of icing to match. Now I will admit making cake or cupcakes from a box totally feels like cheating, but the way these turned out made me feel like good things can definitely come in small cardboard packages. 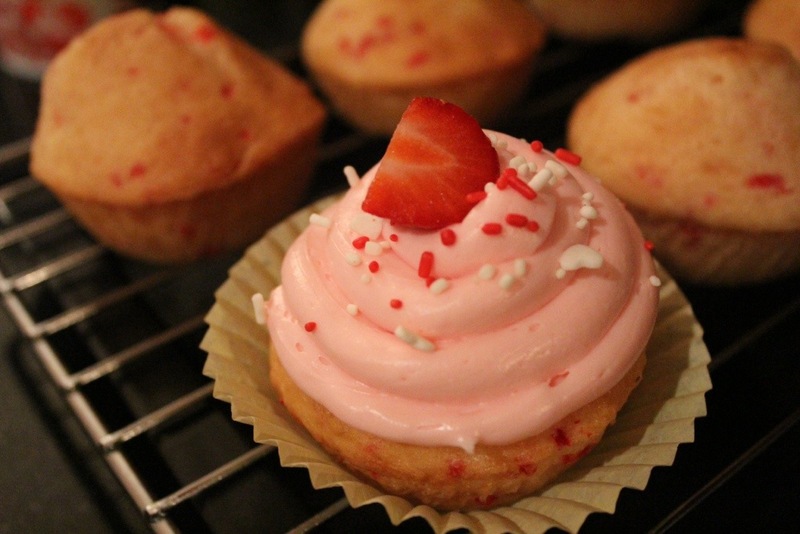 I really enjoyed making and decorating these and they definitely have me looking forward to more V-day decadence. What are your plans to celebrate romance?